MOLDOVA. Transdniester. 2004. 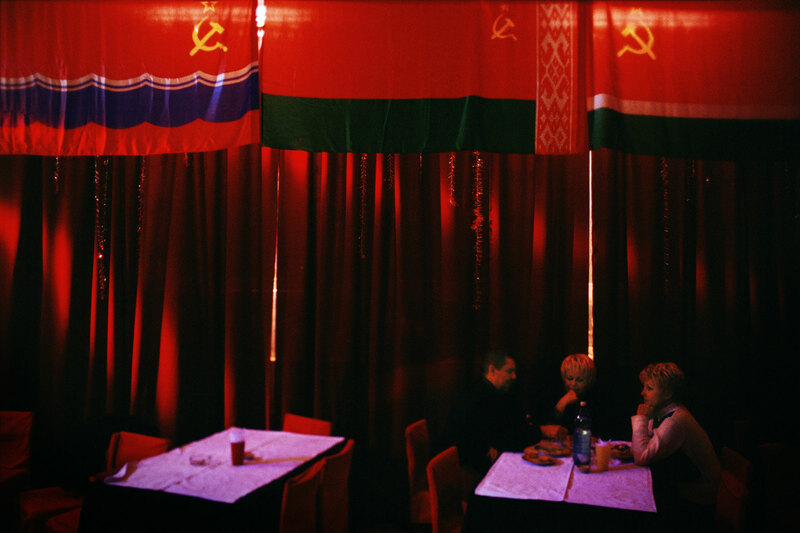 Patrons of "Red Heat", a local bar, drinking under banners with the Soviet hammer and sickle. In Transdniester, nostalgia for the USSR runs very high.